Following the UK government’s post-Brexit Migrant Advisory Committee (MAC) report, Britain’s political establishment have reinvigorated debate on the positive and negative benefits of migration to the United Kingdom. The World Food Program on Friday announced that it had received permission from the Myanmar authorities to deliver food to northern Rakhine state and began negotiations on details of the delivery. According to the International Organization for Migration, over 131,000 migrants and refugees have arrived on Europe's shores since the beginning of the year. According to local media reports, the Bangladeshi Foreign Ministry has formerly protested violations of the country's airspace; it submitted a letter to the Charge d'Affaires of the Myanmar Embassy on Friday. "Exhausted, hungry and often traumatized by violence" Rohingya refugees keep fleeing Myanmar to Bangladesh. 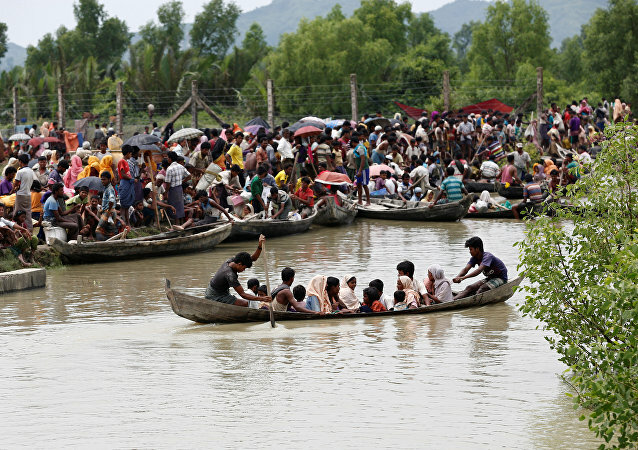 Amidst on-going clashes between Buddhist forces and Rohingya Muslims, Myanmar stated that the security situation in the region doesn't allow for the UN to distribute aid. 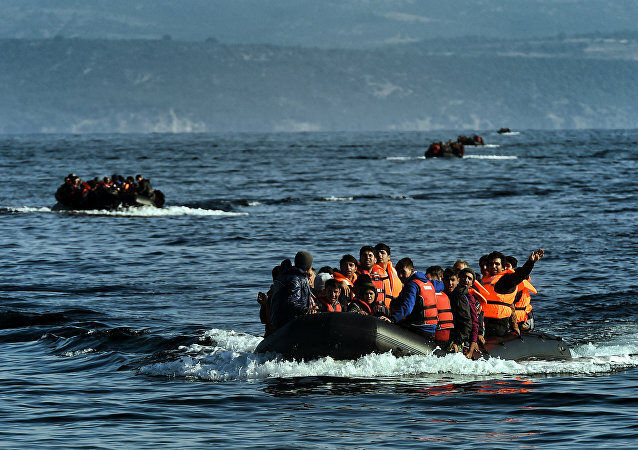 The International Organization for Migration said that nearly 130,000 migrants and refugees have crossed the Mediterranean Sea to enter Europe since the beginning of this year. 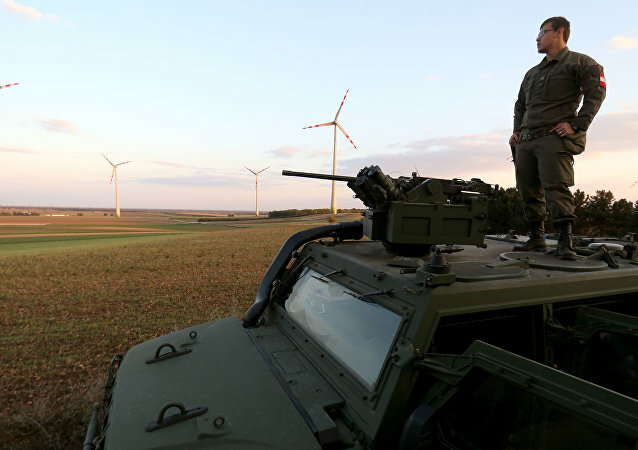 Italian Interior Minister Marco Minniti on Thursday criticized Austria's decision to deploy troops at their shared border in the Alps, stressing that the move was unjustified, local media reported. According to IOM statement, organization in cooperation with a number of humanitarian organizations and watchdogs will launch three new assistance programs in Yemen. 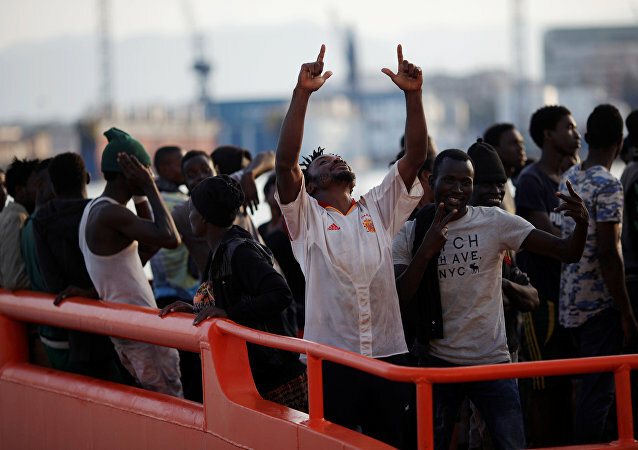 Spain has to prepare for an increased influx of migrants and refugees as it currently does not have the necessary infrastructure, Rosa Otero, a deputy spokeswoman for UN Refugee Agency (UNHCR) Spain, told Sputnik. 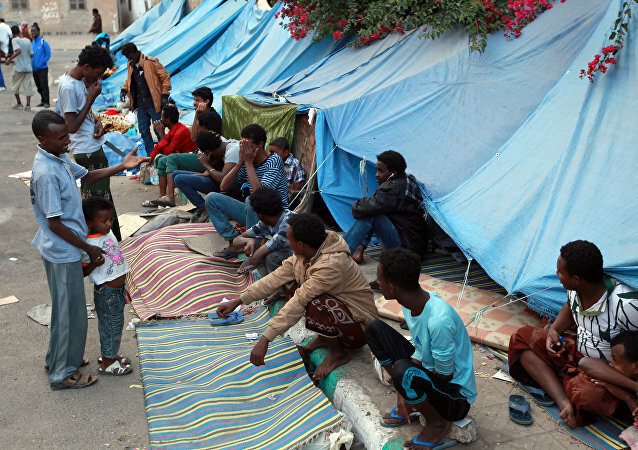 Dozens of migrants from Somalia and Ethiopia drowned off the coast of Yemen after a smuggler had pushed over 120 migrants out from a boat, the International Organization for Migration (IOM) said in a press release on Wednesday. 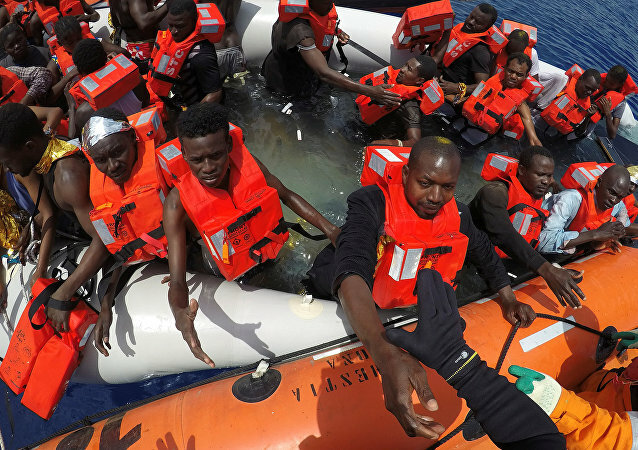 Director of Regional Office for the EU Eugenio Ambrosi said that International Organization for Migration would like to see the 2017 trend for record refugee relocation numbers in the European Union to continue speeding up. 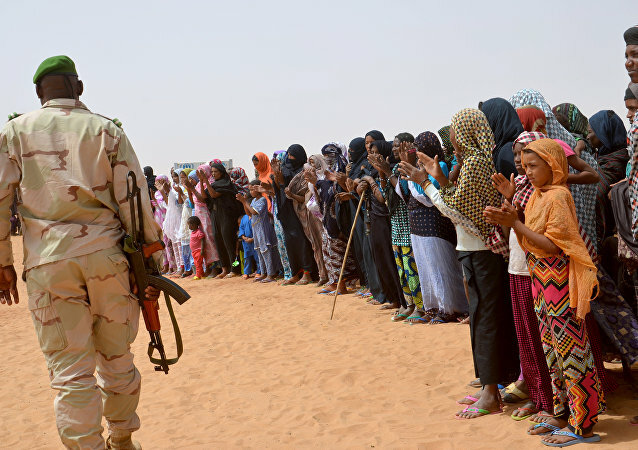 The Search and Rescue operations conducted by the International Organization for Migration (IOM) in northern Niger helped 1,000 migrants since April 2017, the IOM said in a statement on Tuesday. The EU should elaborate safe alternatives to dangerous and often life-threatening trips via sea for asylum seekers to reach Europe. 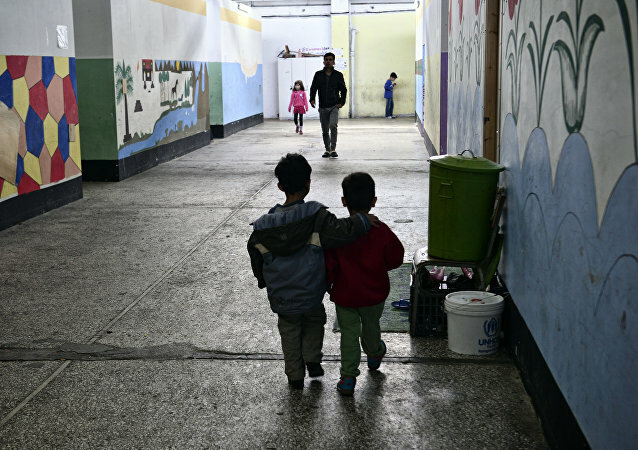 A prominent human rights organization expressed its concerns Wednesday in a letter to Greek Migration Policy Minister Yannis Mouzalas over the dramatic increase in the number of the unaccompanied children (UAC), kept in Greek protective custody. UN Migration Agency reports that 114,287 migrants and refugees entered Europe by sea in 2017 through 30 July, with almost 85 per cent arriving in Italy and the remainder divided between Greece, Cyprus and Spain. The International Organization for Migration (IOM) registered additional 380,000 persons that were displaced from west Mosul, IOM said in a press release on Friday, as the battle for the Iraqi city finished earlier in the week. An offensive by government troops in South Sudan has sent thousands of refugees fleeing to neighboring Ethiopia, joining millions already driven out of Africa’s newest nation, the UN News Center reports. 101,266 migrants and refugees arrived in Europe via the Mediterranean Sea in the first six months of 2017, while 2,297 died or missed, according to the statement of the International Organization for Migration (IOM).